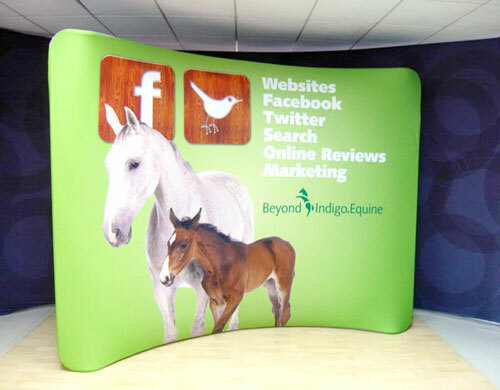 Exhibition walls are such versatile advertising tools. 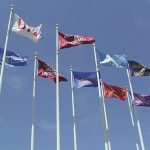 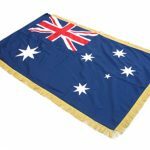 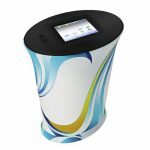 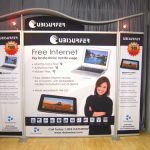 You can install them at any location strategic to for publicising your products and services, such as shopping centres and expo halls. 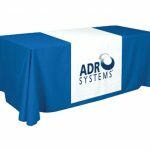 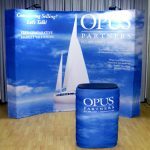 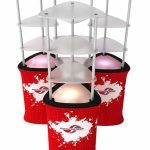 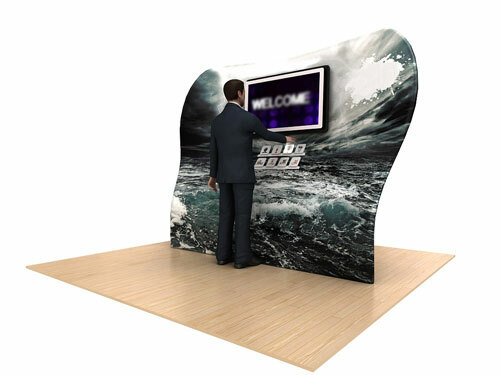 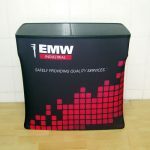 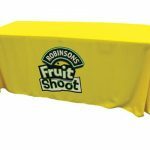 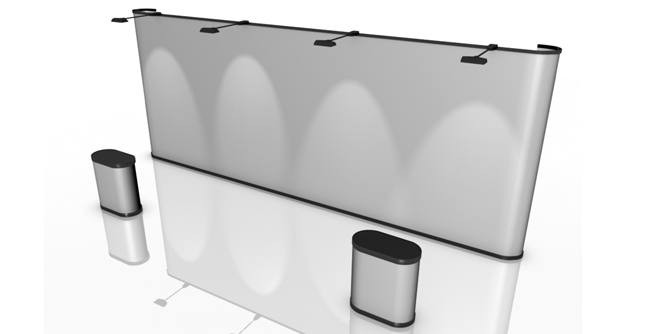 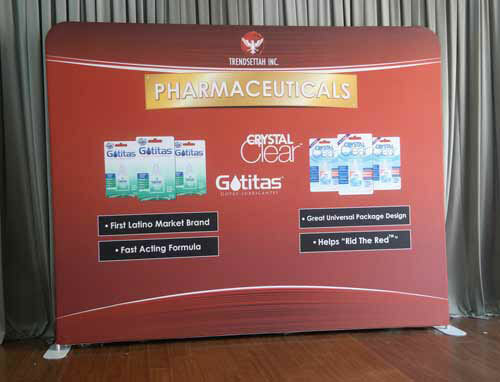 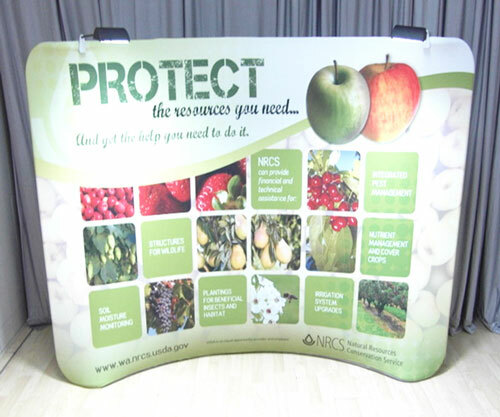 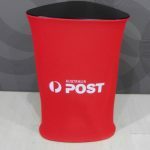 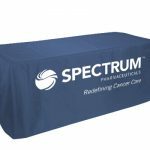 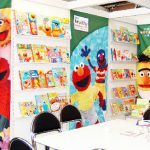 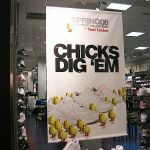 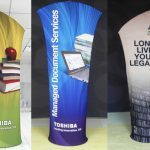 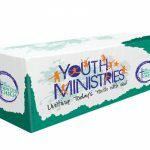 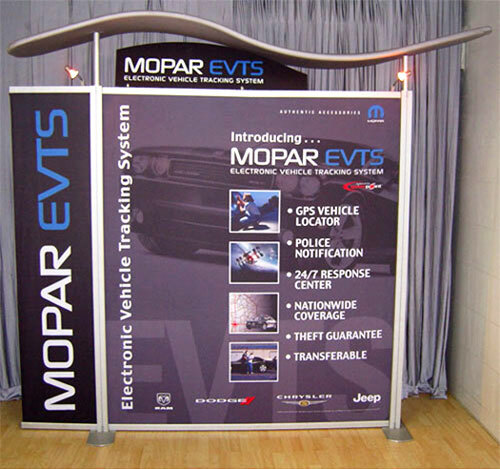 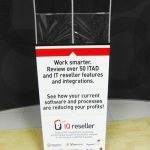 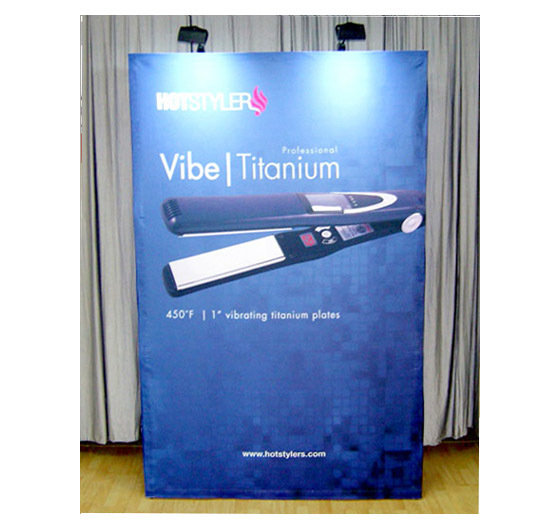 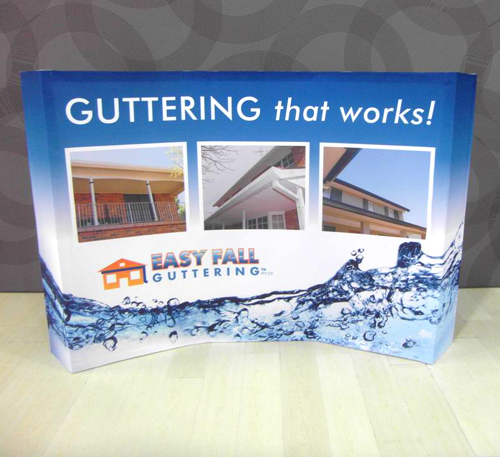 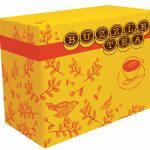 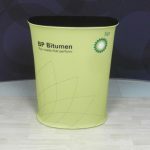 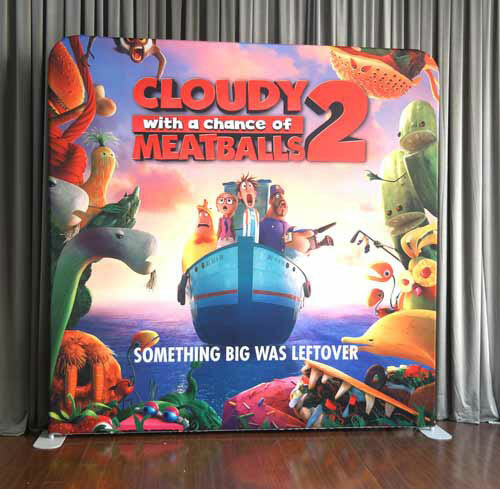 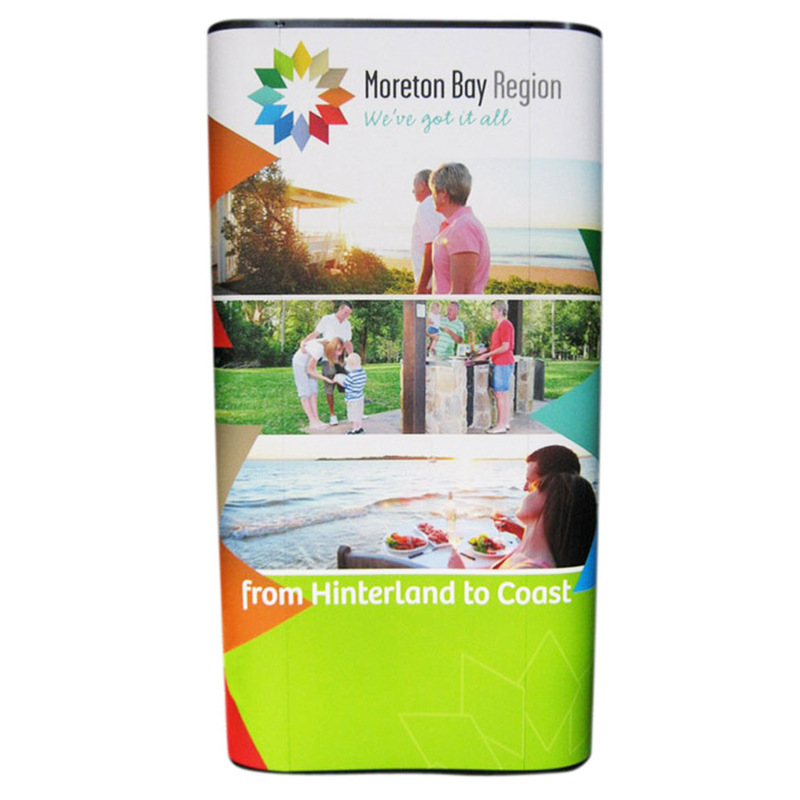 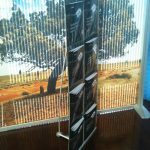 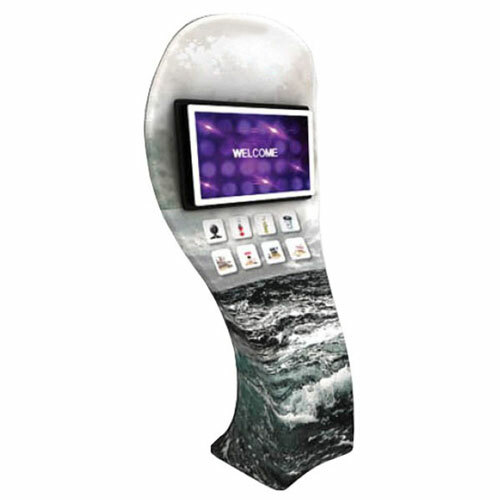 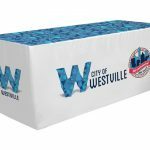 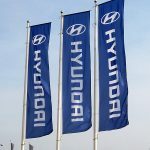 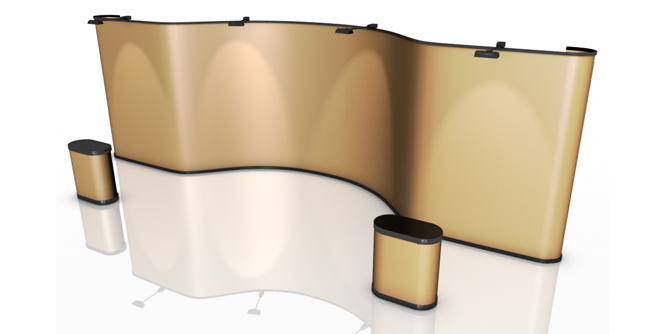 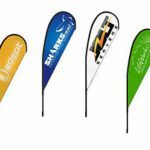 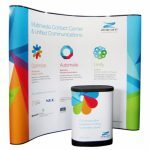 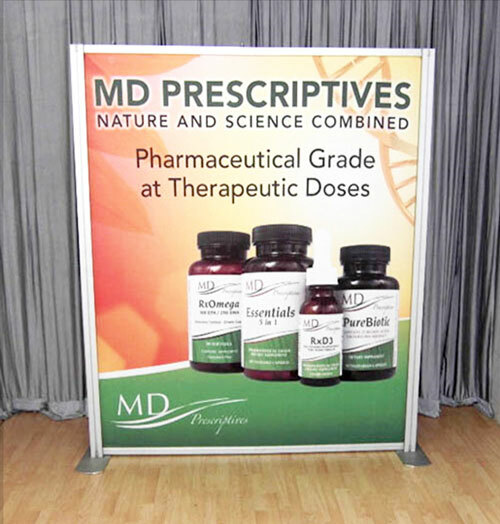 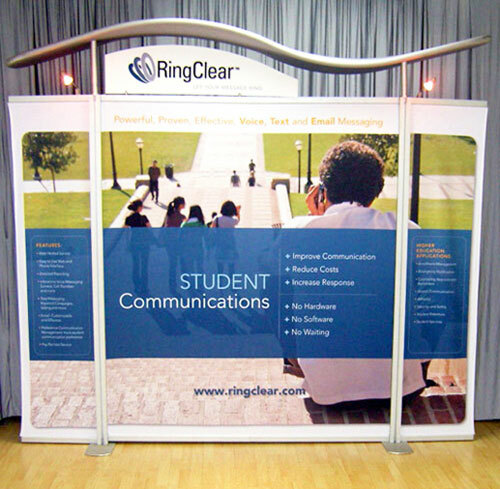 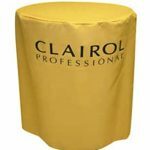 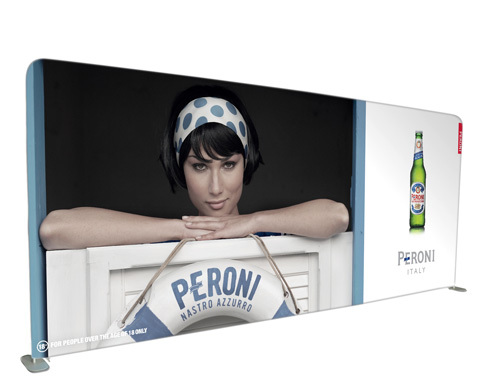 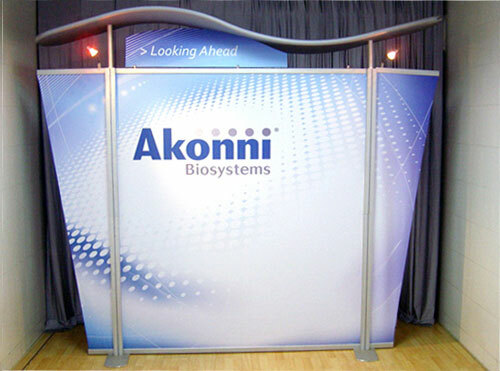 A cleverly designed exhibition 3×3 curved pop up fabric wall is valuable in increasing your target audience’s awareness of your company and what you offer. 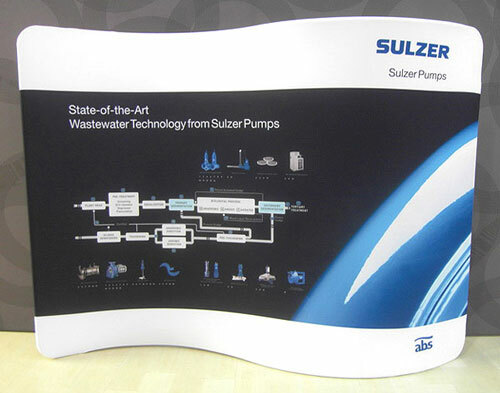 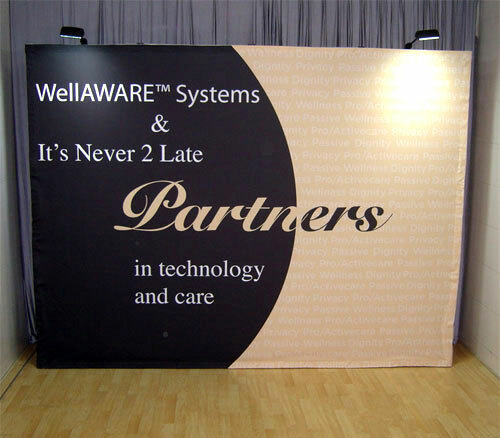 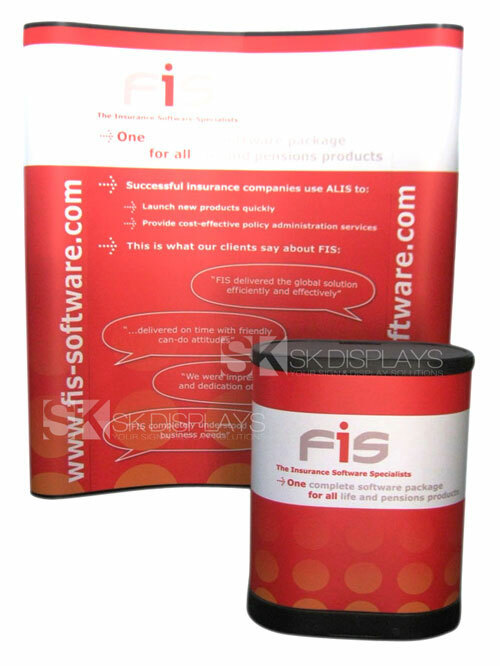 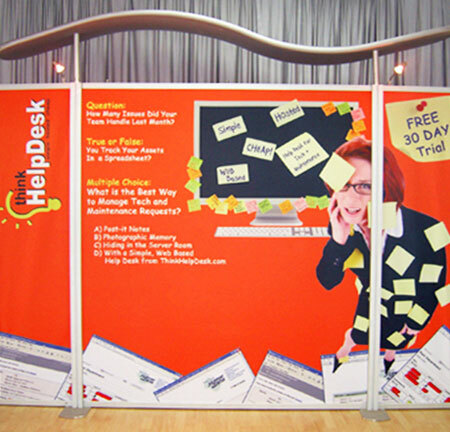 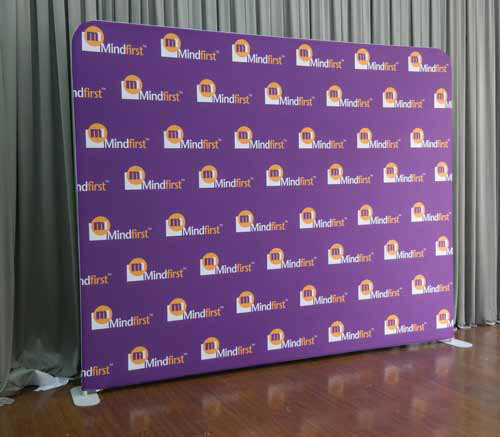 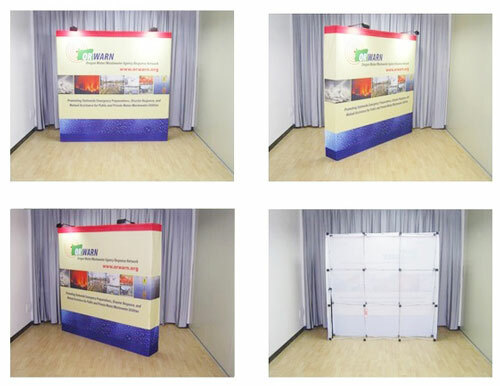 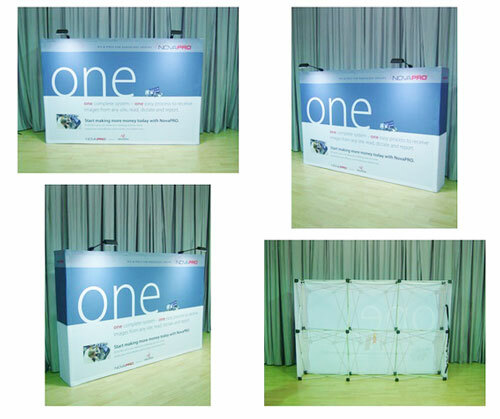 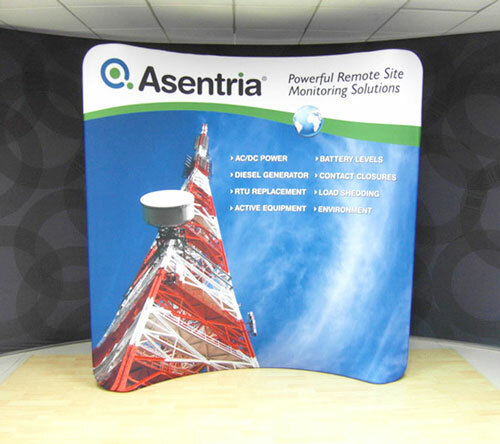 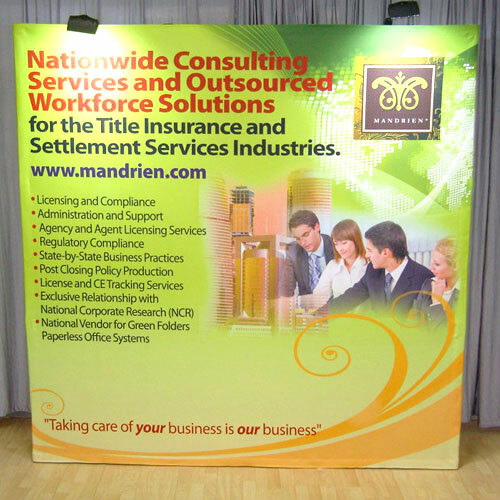 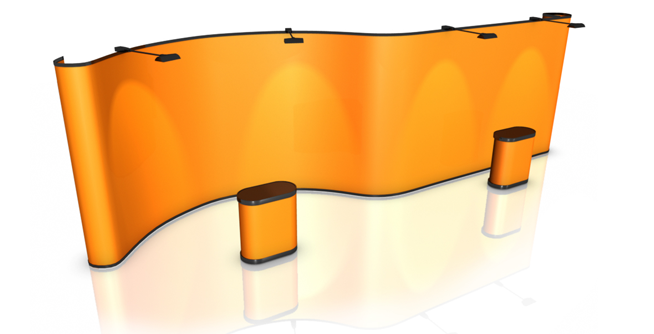 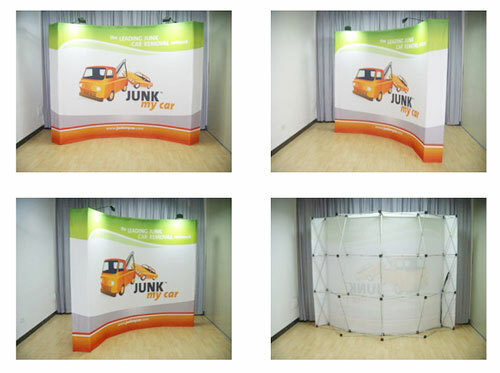 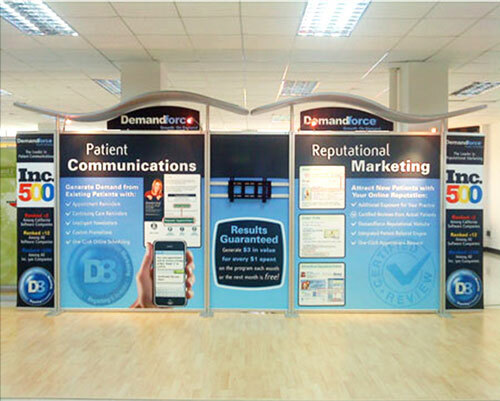 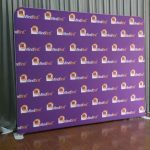 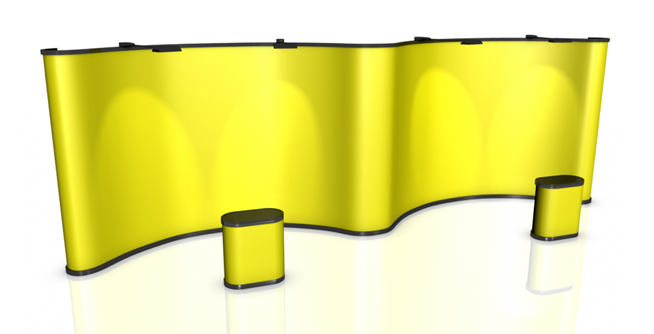 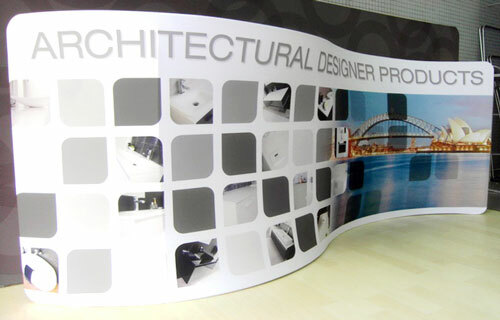 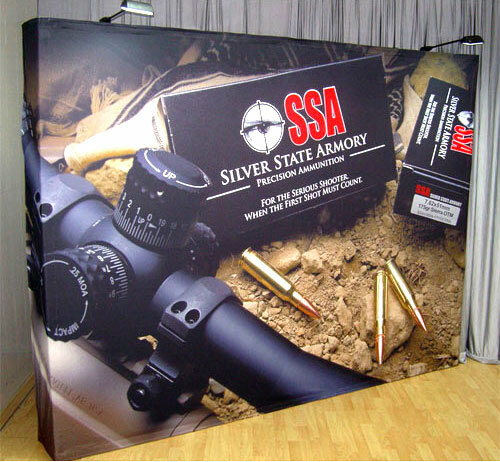 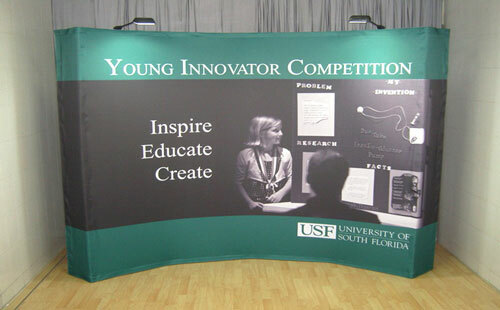 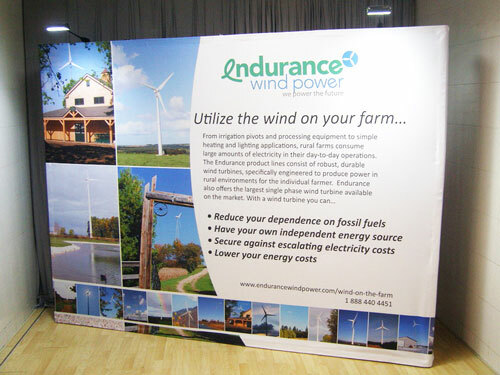 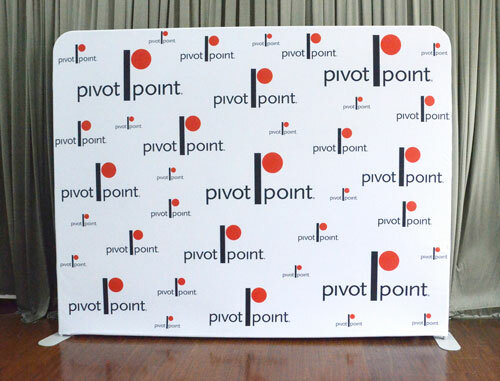 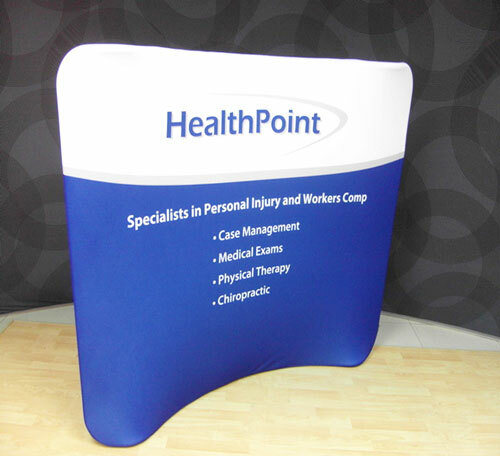 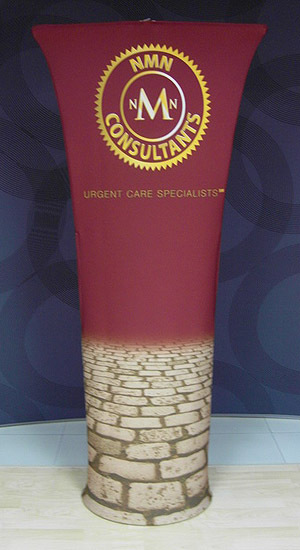 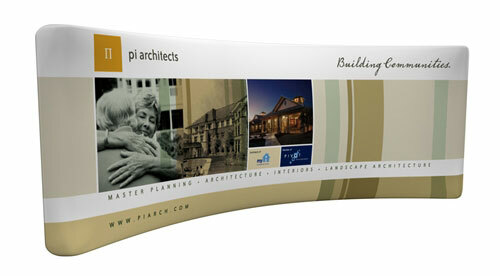 The exhibition walls we offer are 3×4 curved pop-up fabric walls. 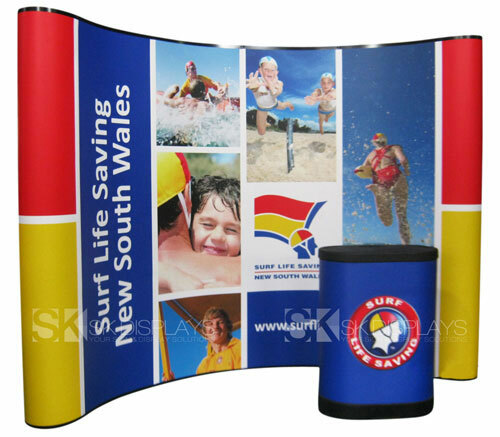 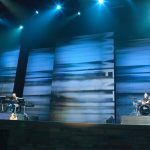 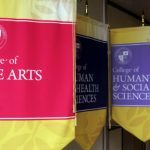 Each set includes a fabric graphic and a frame. 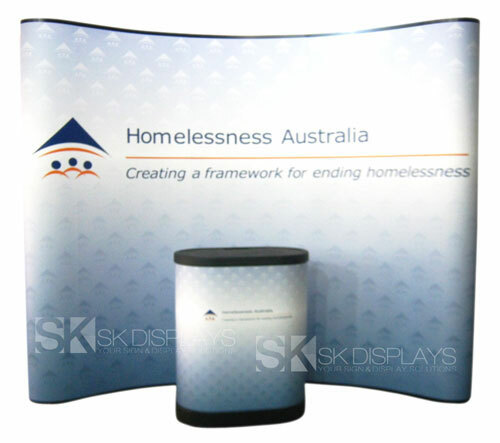 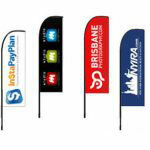 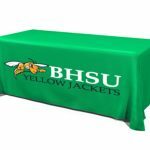 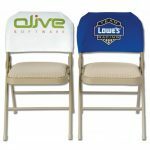 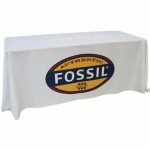 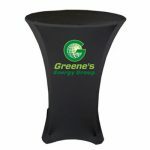 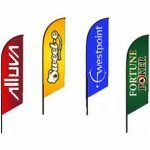 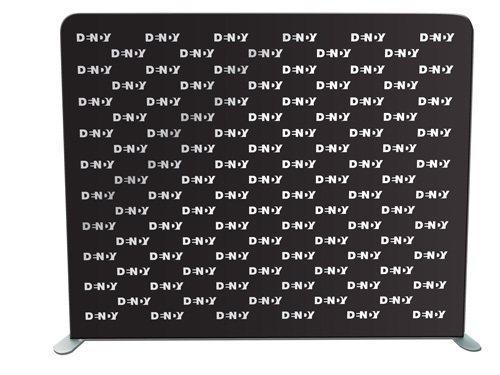 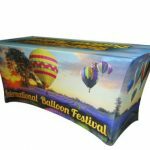 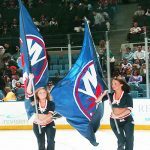 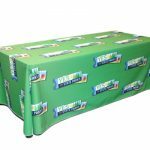 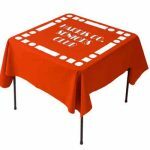 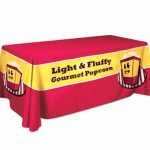 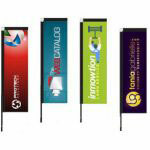 The fabric graphic is done in full colour and has Velcro strips at the ends for easy attachment. 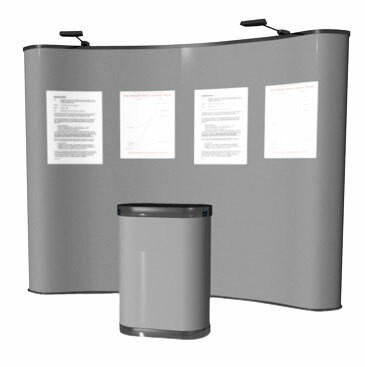 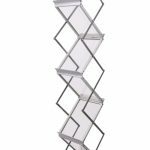 The curved frame, on the other hand, has a silver finish to give your display a polished look. 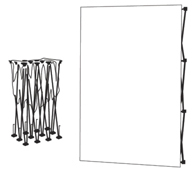 It stands three cubes by four cubes and measures 2900mm/W x 2260mm/H. 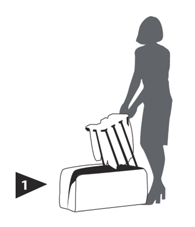 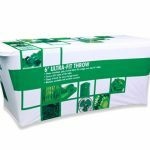 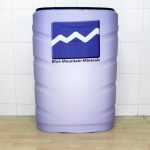 The set also comes with a carry bag for convenient transport and storage. 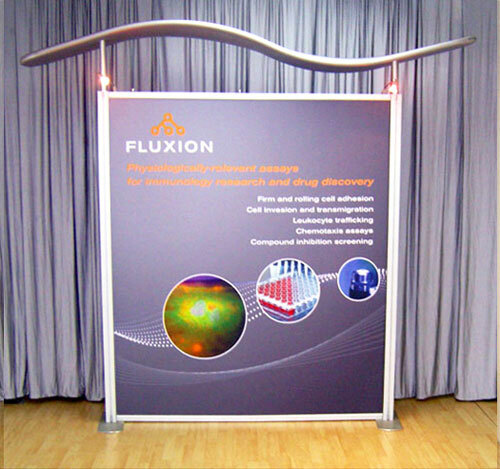 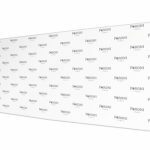 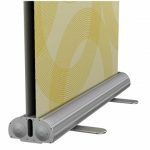 To enhance your display, you can avail of the optional halogen lights designed to work with this fabric wall. 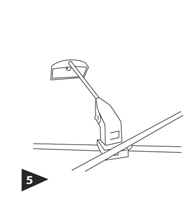 You can use these halogen lights as spotlights. 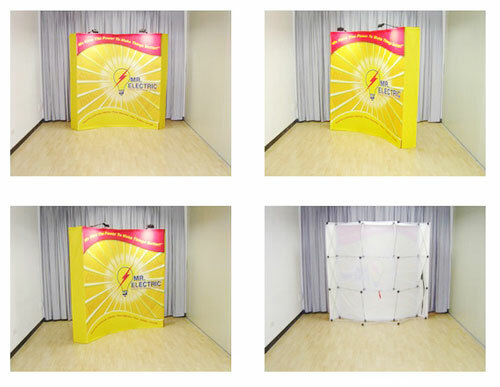 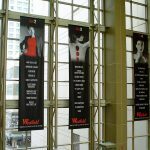 This fabric wall can also come single-sided or double-sided, depending on your needs. 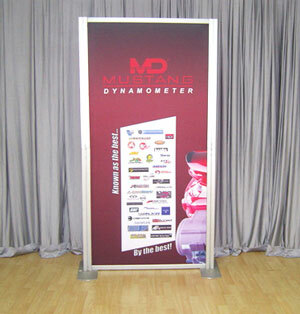 Additionally, the frame is reusable. 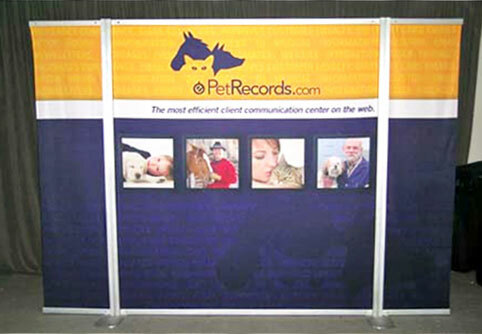 If you need to use a different display for your 3×3 curved fabric wall, just strip the existing fabric graphic from the frame and replace it with a new one. 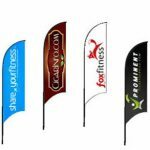 This saves you money in the long run. 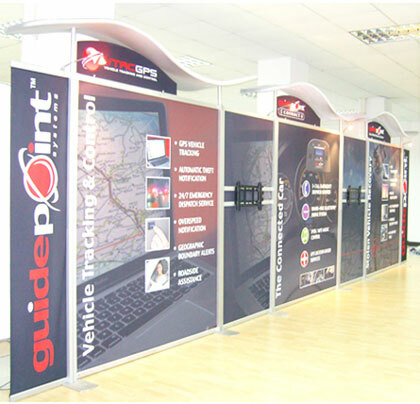 These exhibition walls are definitely the practical choice. 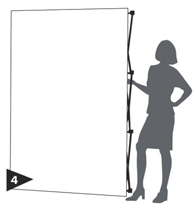 It only takes less than five minutes to set up and install this product. 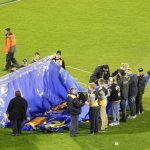 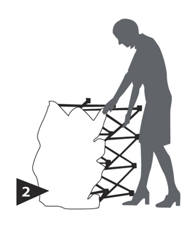 To do so, you only need to take the frame out of its carry bag. 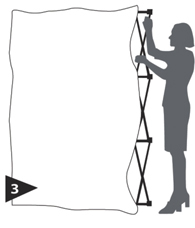 Once out, just pull at it until it stands to its full height and width, and then fasten the hooks behind it. 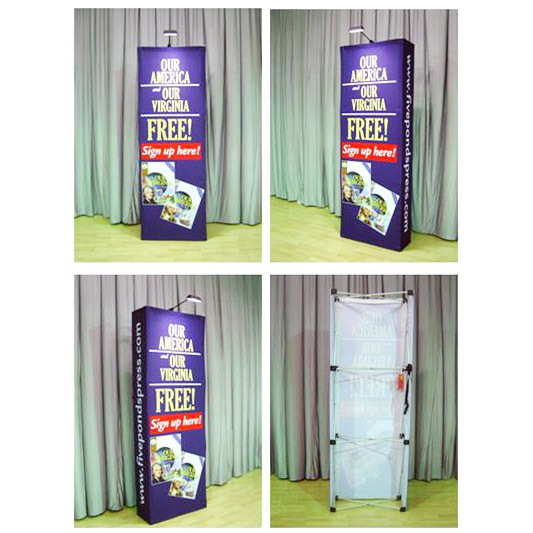 Let out its base to keep it standing safe and secure. 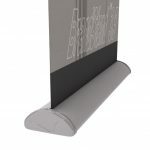 The fabric graphic already comes attached to the frame, so all you need to do is to smooth it down and fasten its Velcro strips to make sure it stays in place. 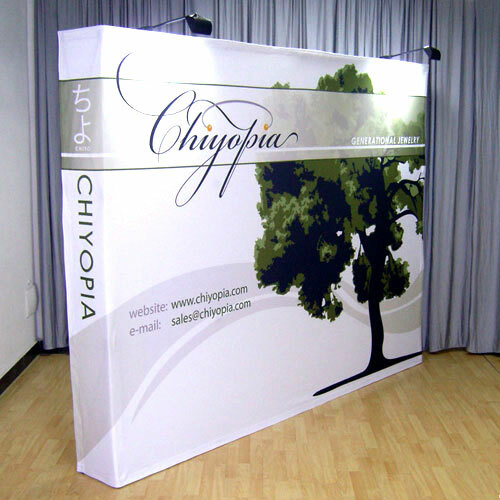 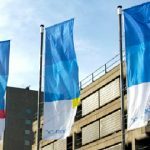 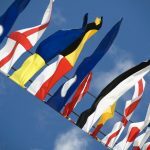 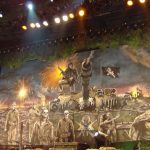 Appearance-wise and functionality-wise, our exhibition walls are indeed the better choice if you want versatility in presenting your product to the public. 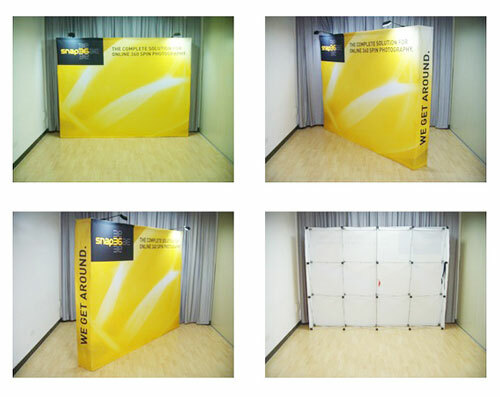 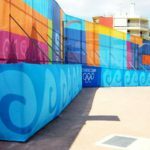 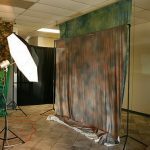 Call us for more information about these pop up fabric walls today.